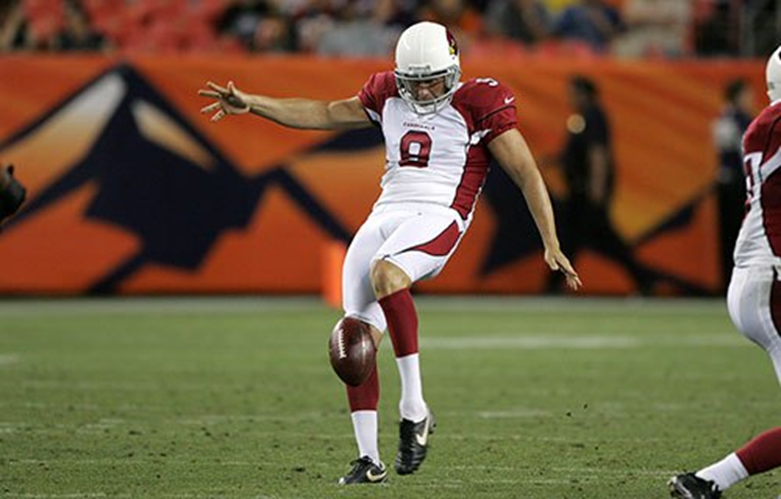 Back when the Cardinals brought in punter Dave Zastudil at the tail end of 2011 training camp, it raised some eyebrows. And there was definitely some fan backlash when favorite Ben Graham was released, and a little more when Zastudil’s past leg injuries crept back here and there that season. The Cardinals — and then-special teams coach Kevin Spencer — believed Zastudil had a lot left though. They were right. Finally healthy last season, Zastudil was put to the test much too often because of a faulty offense and he was very good. He averaged 46.5 yards a punt, netted 41.4 and set an NFL record with 46 punts (out of 112, easily a career-high) inside the 20-yard line. His 46.5 average was second all-time in franchise history, behind Graham’s 2009 year of 47.0. Zastudil also had a career-best 70-yard punt last season, and both his gross and net averages were career-bests. His average is slightly down through two games this season (44.6) but that’s in part because Zastudil is getting a shorter fields on which to kick thanks to a much-improved offense. But his net is still stellar (42.0) and already he has had seven punts inside the 20. Zastudil benefits from the emergence of star gunner Justin Bethel, who has been amazing in locking down most punt returns (Opponents have three yards on four punt returns in two games). But it starts with the punter, and Zastudil has been impressive.